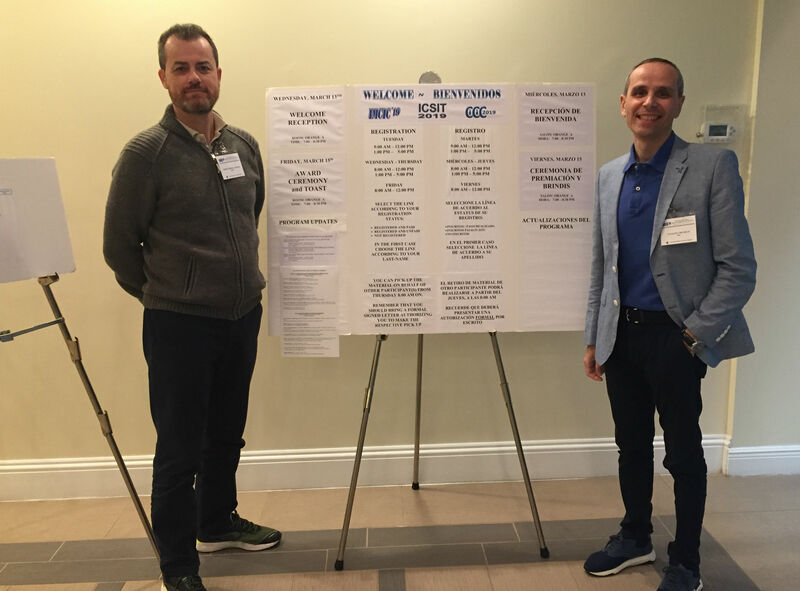 On 15 March 2019, MAGIC's researchers Michiele Staiano (University of Naples Federico II, Italy) and Rafael Nebot Medina (Technological Institute of the Canary Islands, Spain) presented their progress in designing software for the implementation of Multi-Scale Integrated Analysis of Societal and Ecosystem Metabolism (MuSIASEM) at the 10th International Multi-Conference on Complexity, Informatics and Cybernetics (IMCIC 2019), in Orlando, Florida, USA. MuSIASEM is MAGIC's quantitative tool to explore and analyse the complex resource nexus concept based on relational analysis. Their presentations, entitled respectively, "Semantic Model-to-Model Translation to Capture the Nexus Complex Predicate" and "Engineering Software Tools for Capturing the Complexity of the Water-Energy-Food Nexus: Lessons from the MAGIC Project" are available in our website's document repository. The former presentation was awarded by the conference organizers for its outstanding contribution to exploring the relation between research and design.